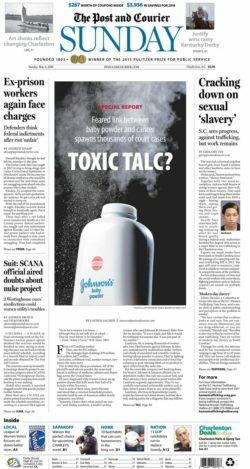 The Sunday May 6th edition of Charleston’s The Post and Courier reported on human trafficking in South Carolina. Reporter Gregory Yee examined strides made in the state since the passage of anti-human trafficking legislation in 2012. He called on an associate of Murphy & Grantland for insight. Elliott Daniels, a Columbia attorney who sits on the S.C. Human Trafficking Task Force, said a major shift in public understanding and perception of the problem is needed. Through his work, the attorney said he has encountered victims ranging in age from 16 to 43 years old. They are honor roll students and people with intellectual disabilities. They are foreign nationals and native-born South Carolinians. As part of his pro bono practice, Elliott founded Legal Assistance for Survivors of Trafficking South Carolina in 2017. In his private civil defense practice at Murphy & Grantland, Elliott Daniels defends businesses, individuals and insurance companies in a wide variety of civil matters.